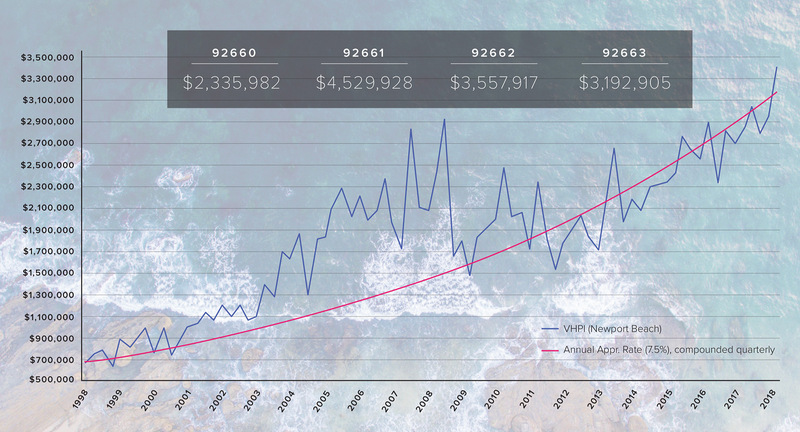 For the second quarter, the weighted average sales price for a home in Newport Beach, Newport Coast and Corona Del Mar was $3,833,304, up 14.46% from the previous quarter and up 20.86% year over year. In Newport Beach (92660, 92661, 92662 and 92663), the average sales price for a home was $3,404,183, up 14.64% from the previous quarter and up 21.51% year over year. 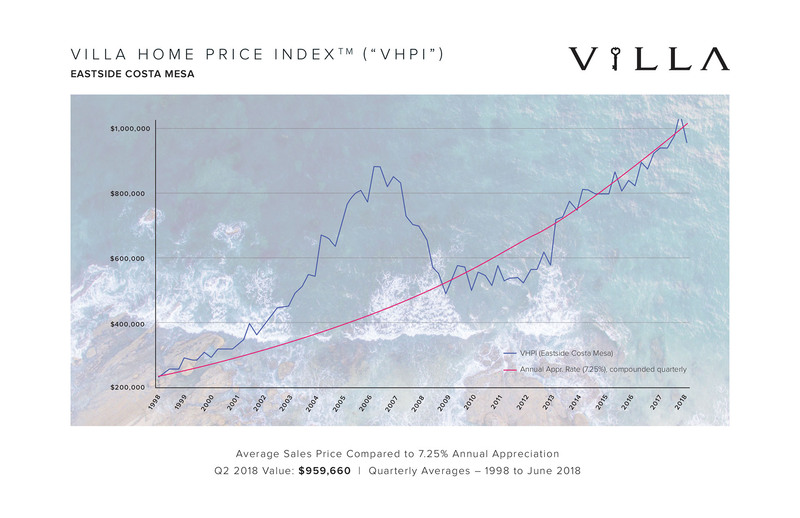 “These figures show that the home values in Orange County, especially in the coastal communities continues to experience strong price appreciation,” said Dave Girling, a Villa agent and real estate economist who helped spearhead the VHPI with Villa co-founder and President Steve High. 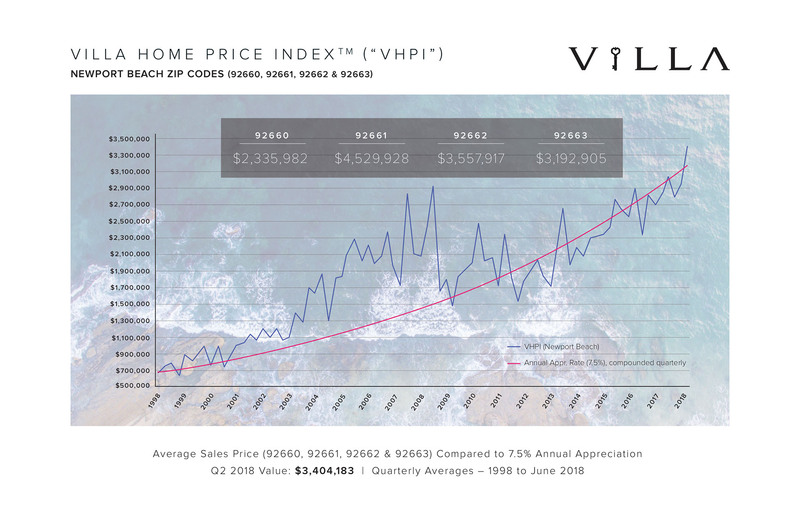 “While most zip codes in the VHPI saw double digit increases, we anticipate that with higher interest rates and signs of increased inventory levels that we may see a correction in the market could be healthy because the current rates of appreciation are unsustainable, especially in the higher priced markets." 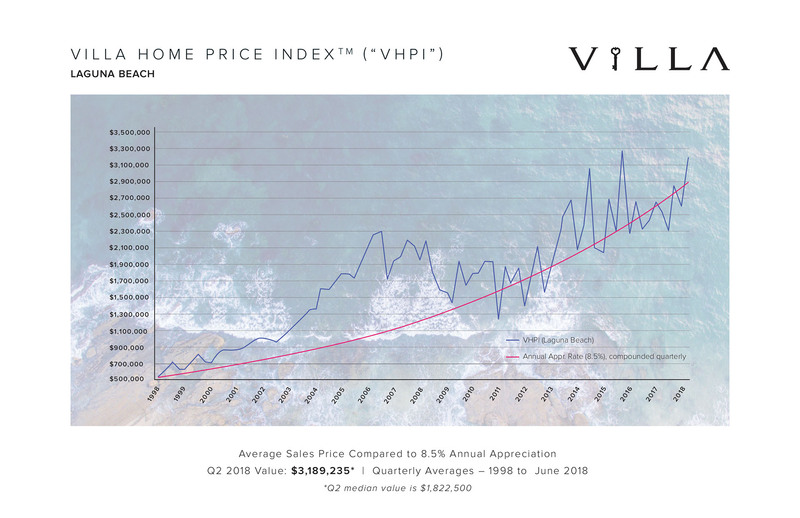 The VHPI tracks single-family detached housing prices since 1998 in select neighborhoods where Villa Real Estate is actively representing buyers and sellers of residential real estate properties. 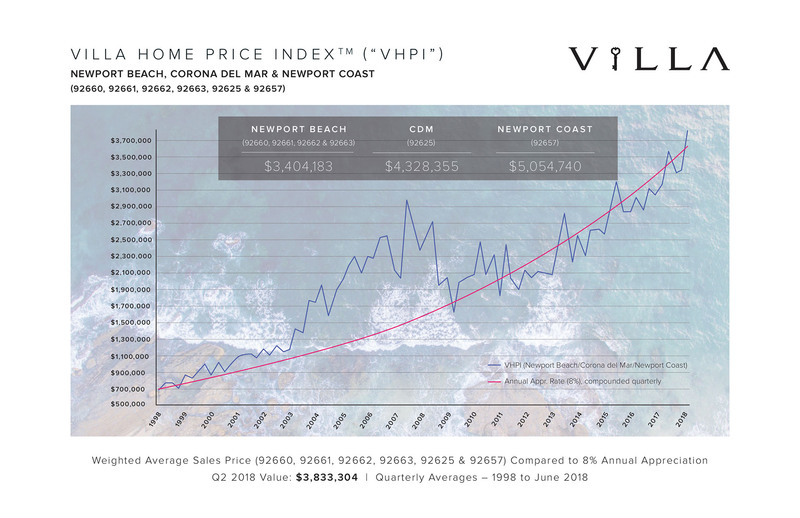 The index provides a look at real estate values on a micro level, focusing on Newport Beach, Newport Coast, Corona Del Mar, Laguna Beach and Eastside Costa Mesa. The VHPI is released on a quarterly basis. For additional information, please see the charts below or view the VHPI on www.villarealestate.com/VHPI.